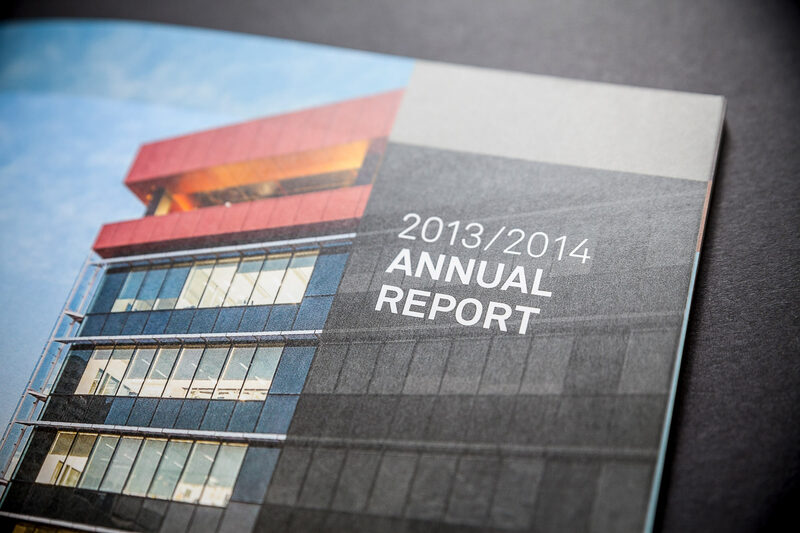 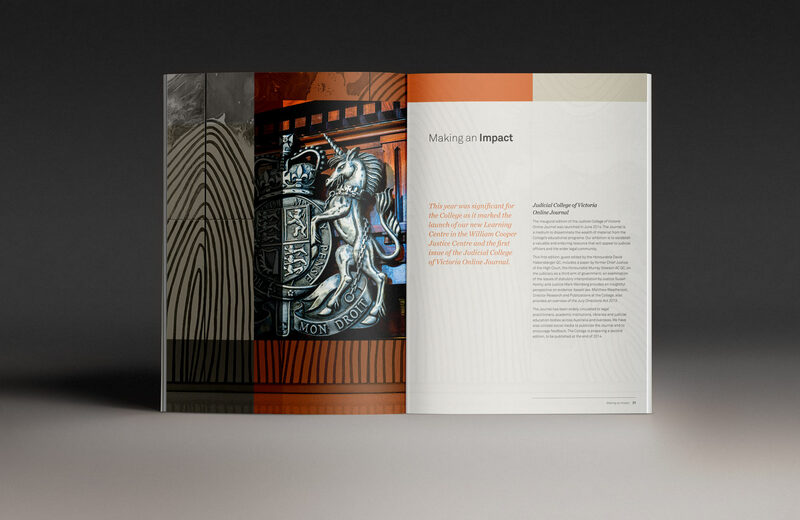 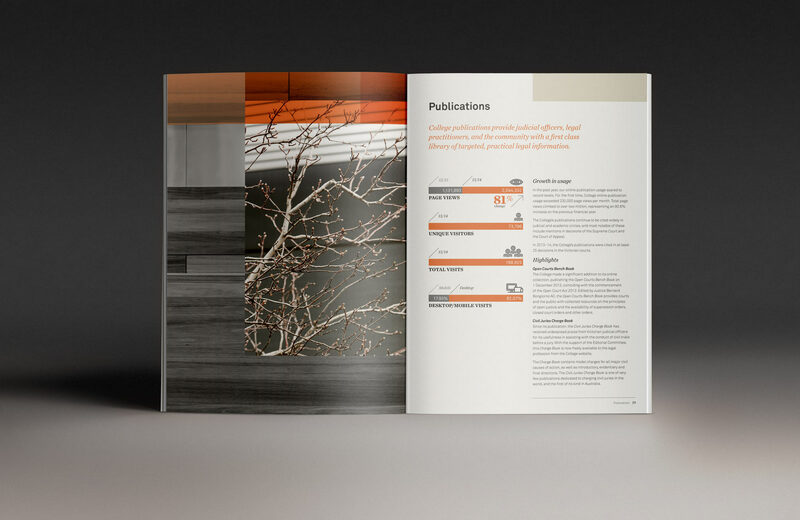 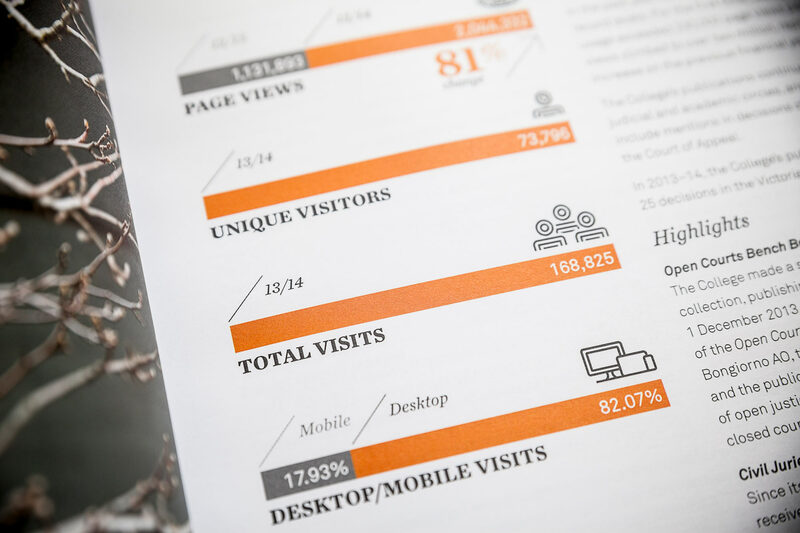 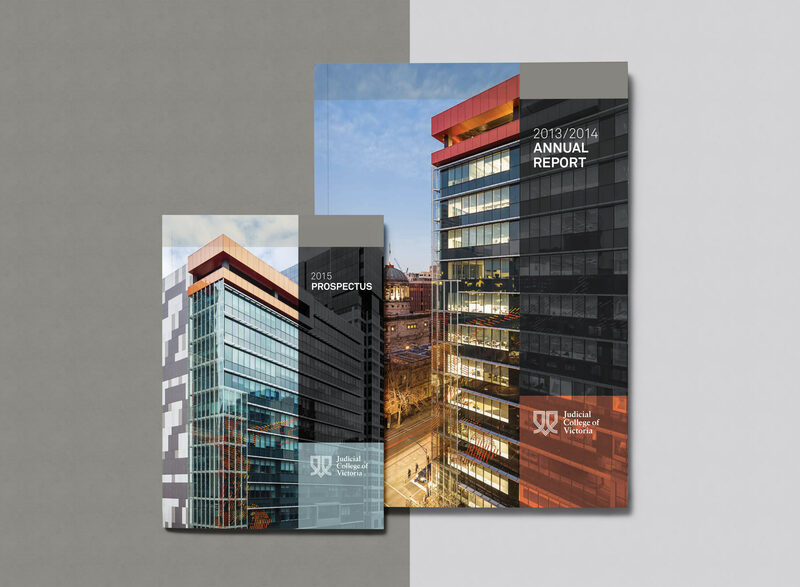 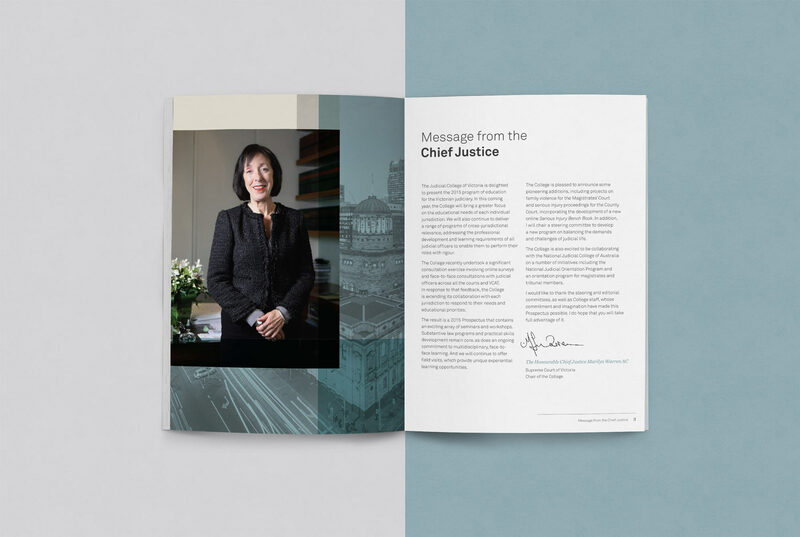 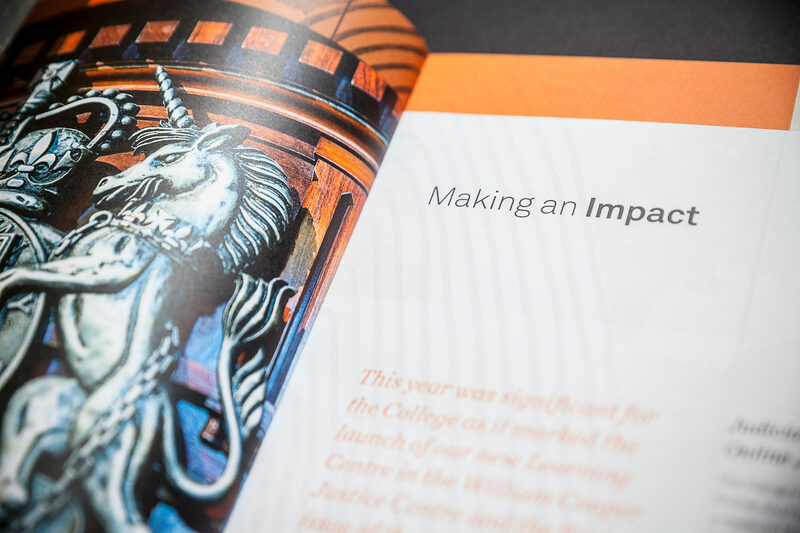 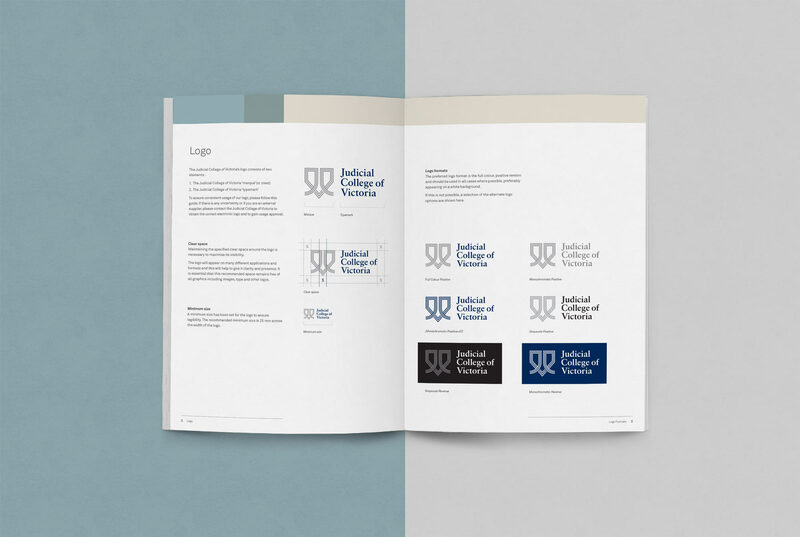 Design and photography for three publications of the Judicial College of Victoria (JVC). 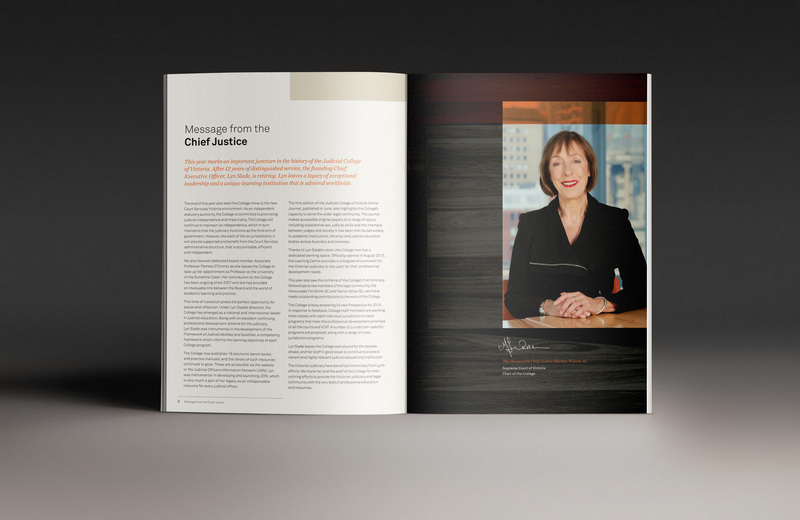 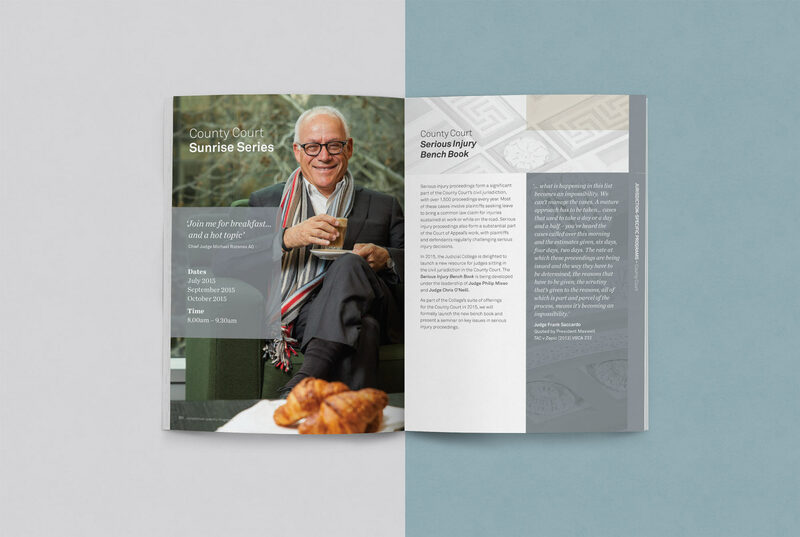 A portrait of Former Chief Judge Michael Rozenes AO was commissioned as part of the Prospectus Sunrise Series, and well as a number of interior images to complement the work. 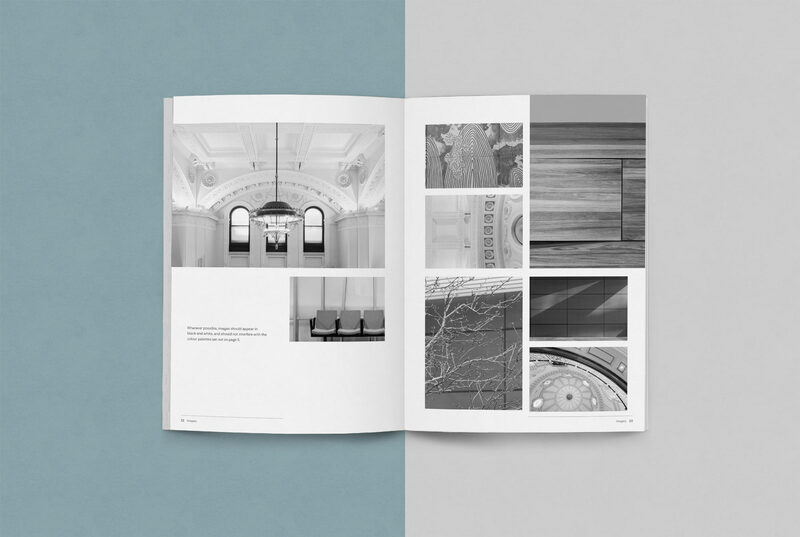 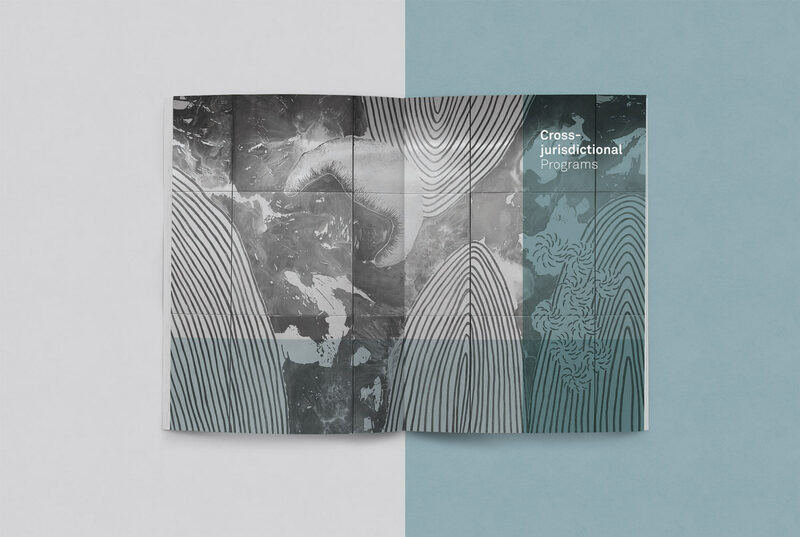 Our challenge was to establish an aesthetic sympathetic to the courts and their surroundings, driving us to use deliberate and structured colour blocks, coupled with architectural photography, to create harmony and rhythm. 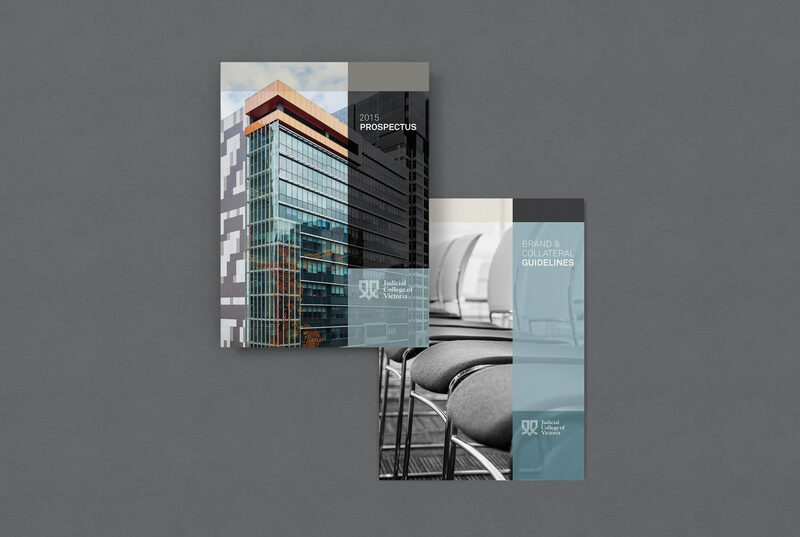 In addition to the design, I shot a number of additional photographic elements in this project alongside principal photographer, Sarah Anderson Photography.